THE WORLD OF COFFEE, NICE - Marco Beverage Systems Ltd.
Bonjour mon petit amis. Comment allez vous? Tres bien? The World of Coffee is here again. With the massive success of Melbourne now firmly in the rear view mirror it’s time for the coffee roadshow to move to Europe. Marco will be there in force. Our stand at A31 will have the usual suspects from Marco along with Thomas Lehoux as our guest barista. We will also be bringing the BRU to go along with our manual brew bar on our stand so it will be a first opportunity for many to sample the coffee made in our brand new brewer. Our core ranges will also be there so if you find yourself with a few minutes, pop down and have a chat and a good cup of coffee with us. And we think that it’s going to be hugely successful. Pete Williams from 3fe and John Gordon from Square Mile Coffee will be in charge and they have some fantastic ideas to update the brew bar and make it even better than last year. You can find the pub here and here’s hoping that we have even half the fun that we did last year. 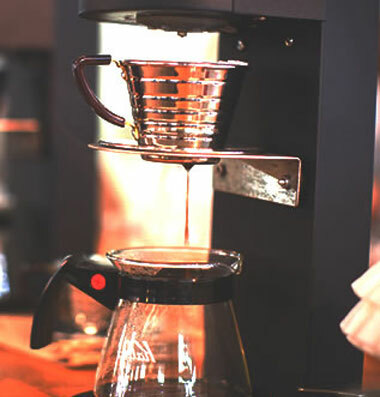 View our range of coffee brewers, and feel free to contact us with any queries you may have regarding our range!